"Tropical Fish Address Labels" product is already in your cart. 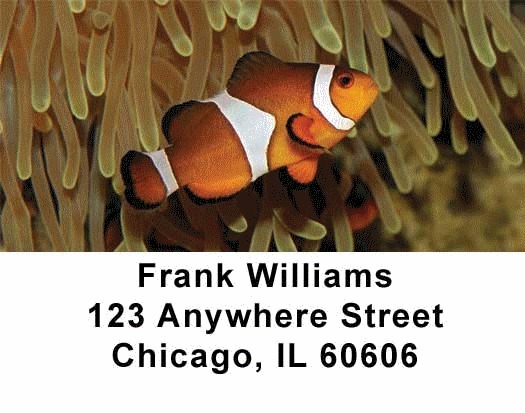 Save your precious time and buy tropical fish incorporated address labels. Compared to the tedious work, which you have to put in for the mails and envelopes or other official documents that you have to handle every day, the self adhesive address labels come in handy. It is fun and entertaining to see colors and images at the mails. It is an image which is informally entertaining. It is cheap. It is cost effective as well. You can order the same image incorporated personal checks too.